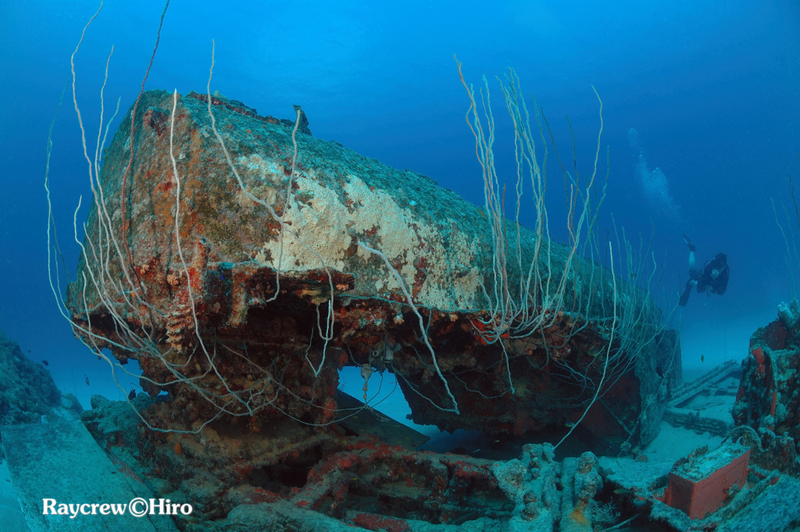 The “Parking Lot” is just one of the dive sites in Majuro where you can feel traces of WWII. 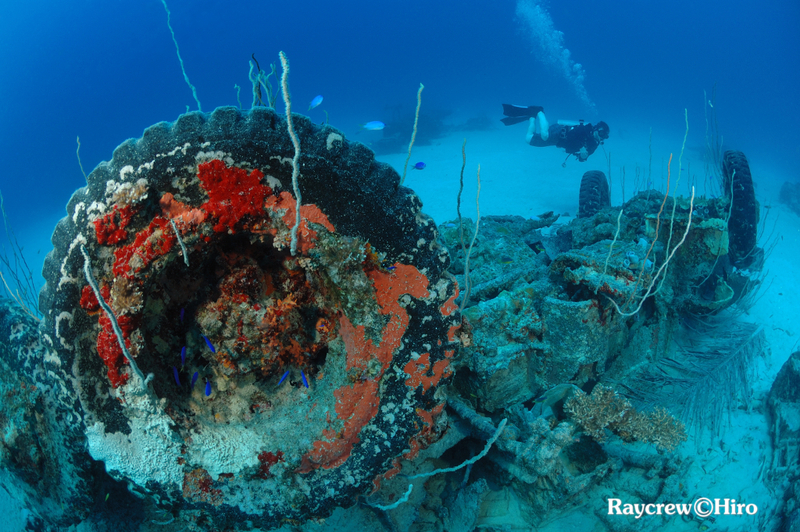 The site contains classic Jeeps, fuel trucks, fire engines, tugboat, and more the US Army dumped at the conclusion of WWII. 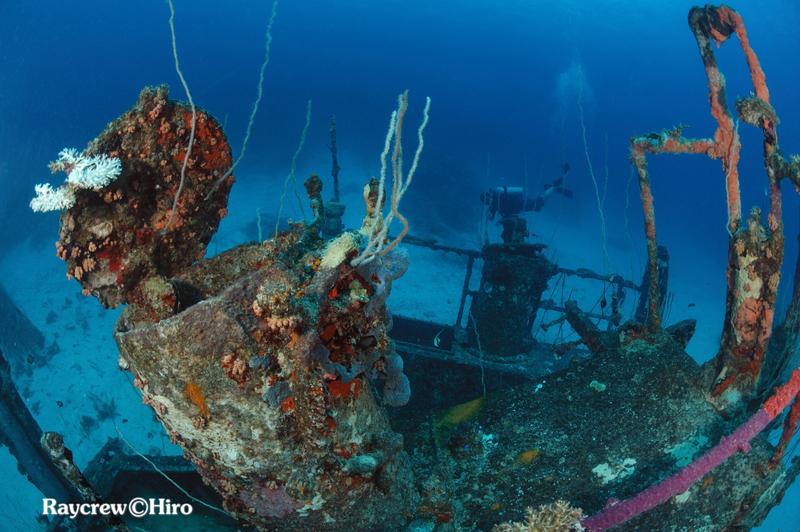 Visibility varies from good to fair due to the dive site’s location within Majuro harbor. 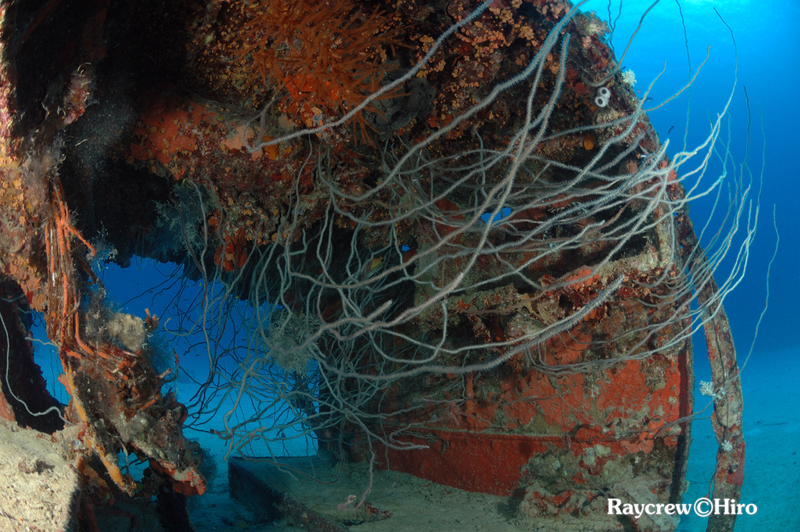 You can start the dive at a large coral pinnacle in about 3~5 m deep. Diving to 15~18 m deeper we will see the first WWII vehicles. The dive continues between 15~25 m from here in sandy areas with multiple jeeps and trucks. Please be careful not to stir up the sandy sea floor as it will disrupt photography of the site. The “Parking Lot” is also a great place to see schools of Bigeye Trevally, Spadefish, and several kinds of Butterflyfish, especially in and around the Jeeps and tugboat. Plus you may be lucky enough to see the local anemone fish, unique to the Marshall Islands! 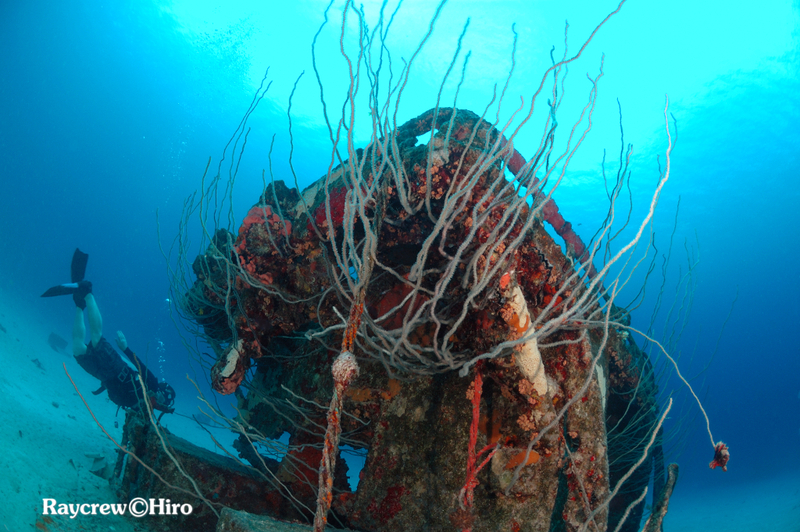 Coral growth on the wreckage is also great for photography! 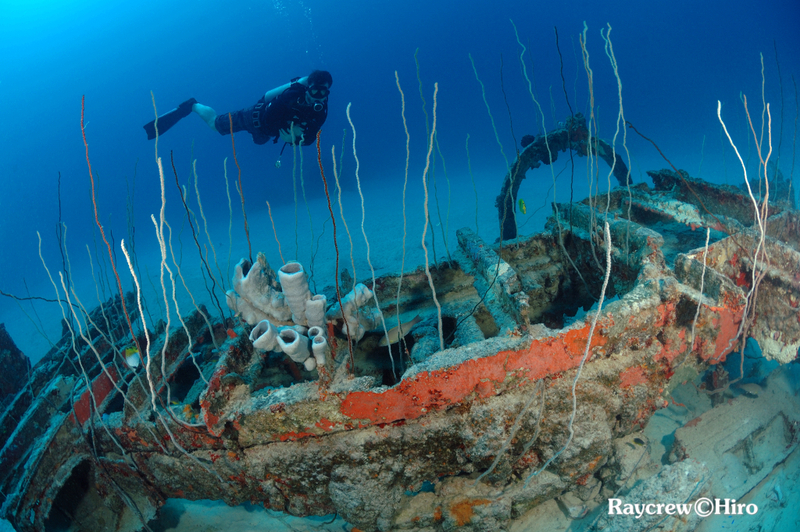 So be sure to bring your camera and lights for underwater photography! 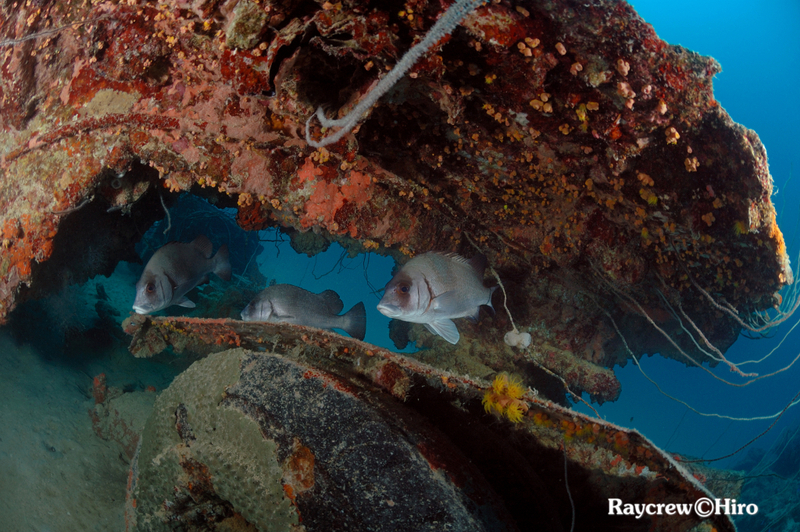 Please don’t touch or remove any part of the wrecks. 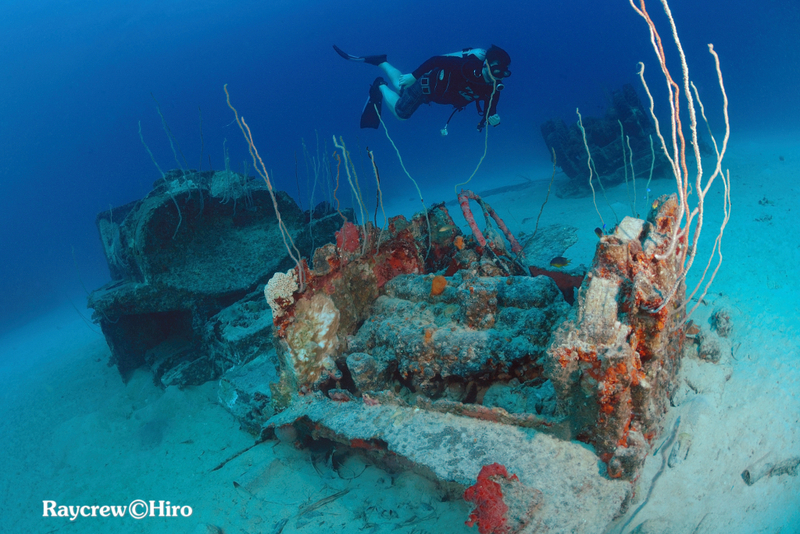 The site, as are all WWII sites, is protected under Marshall Islands Historic Preservation Law. Help keep this site in great condition so others can see the history in place! 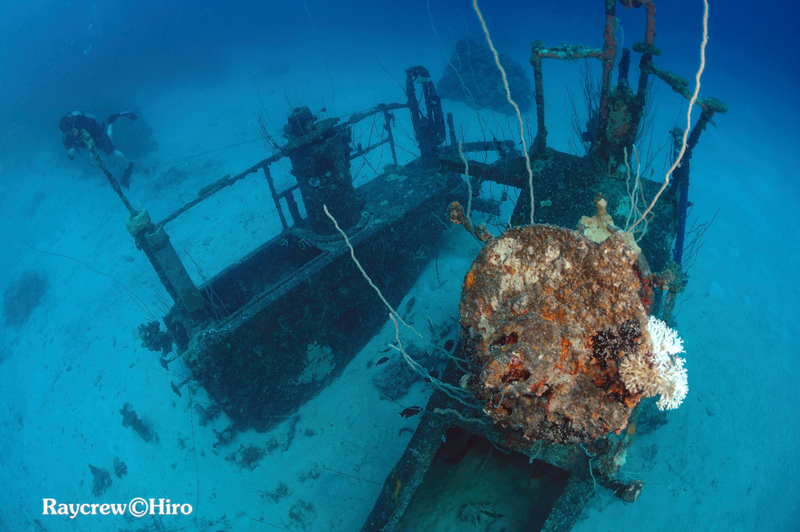 If you planning to dive the site on your own (Individual), please apply for a dive permit at the Marshall Islands Historic Preservation Office (HPO). Please respect the site as history of WWII and as a diverse underwater ecosystem unique to the Marshall Islands! This site is close to the main town so it is easy to go any time of year and weather condition. The lack of current makes the “Parking Lot” a very pleasant dive. 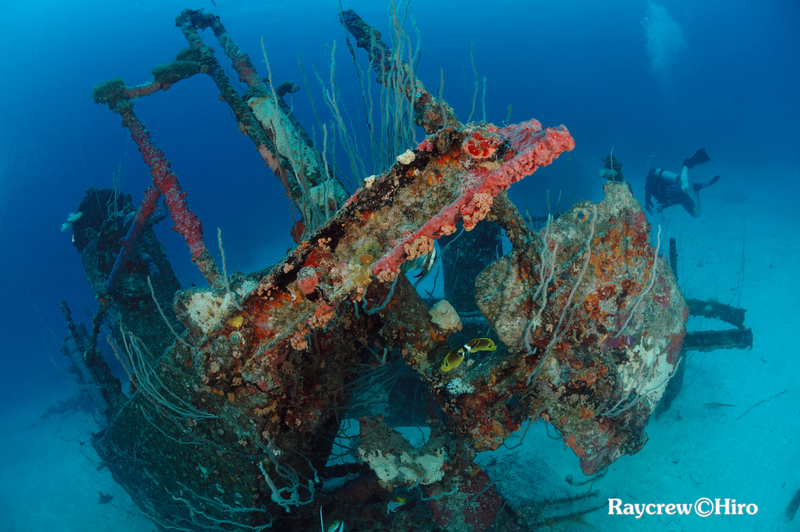 Come dive the “Parking Lot” with Raycrew! We know the best route to take so you can see as many wrecks as possible! 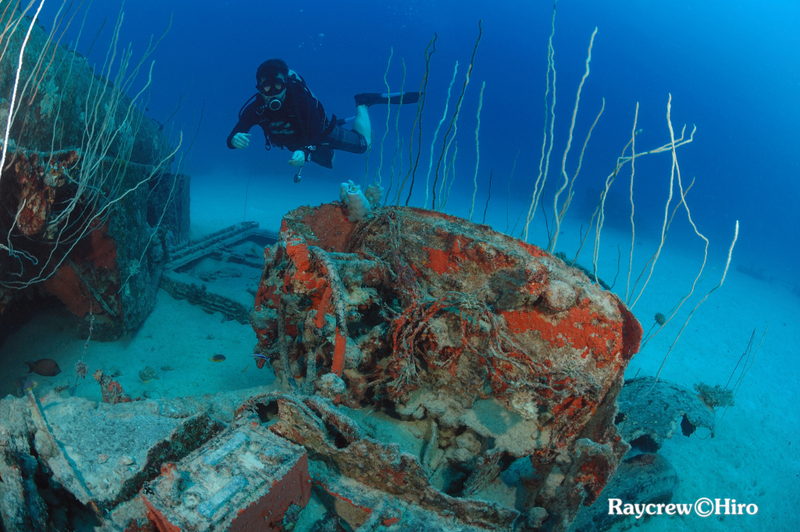 We also can plan your dive to go during the best visibility! 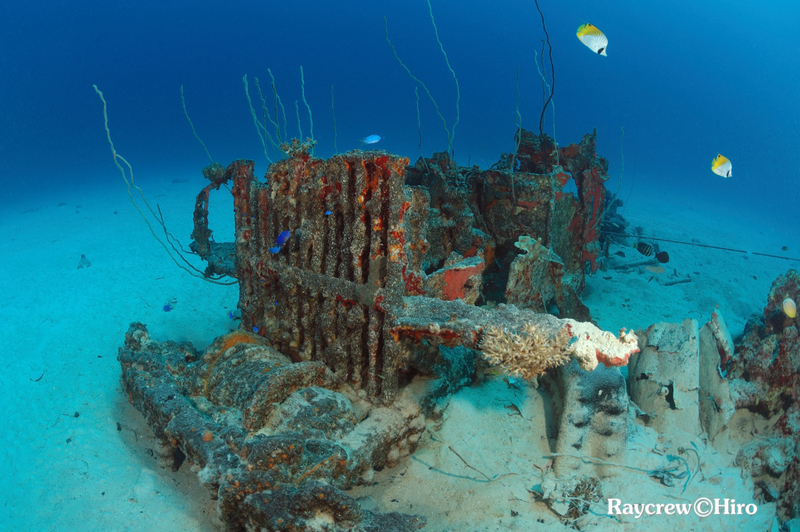 Come dive this unique WWII site with Raycrew!